UNIFILLER series | KANTO KONGOKI INDUSTRIAL CO.,LTD. guidelines around the world and can be used in factories in every field. including liquids and high-viscosity products. range changes by replacing cylinders are available. cleaning without any tools, resulting in improved hygiene. 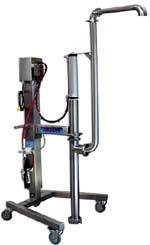 This model enables 1000cc deposit at once and is highly suitable for production of a 1Kg packet. 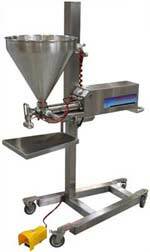 from the mixer bowl to a hopper.